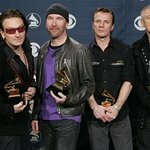 U2 has donated €5 million (US$7.12 million) towards a program that teaches children Ireland to play a musical instrument or sing. The Ireland Funds is an international organization that raises funds for causes in Ireland that will help manage the money and raise a further €2 million for the program. The money – which will be released in a phased plan until 2015 – will help local education authorities in Ireland engage music teachers to provide instrumental and vocal lessons.